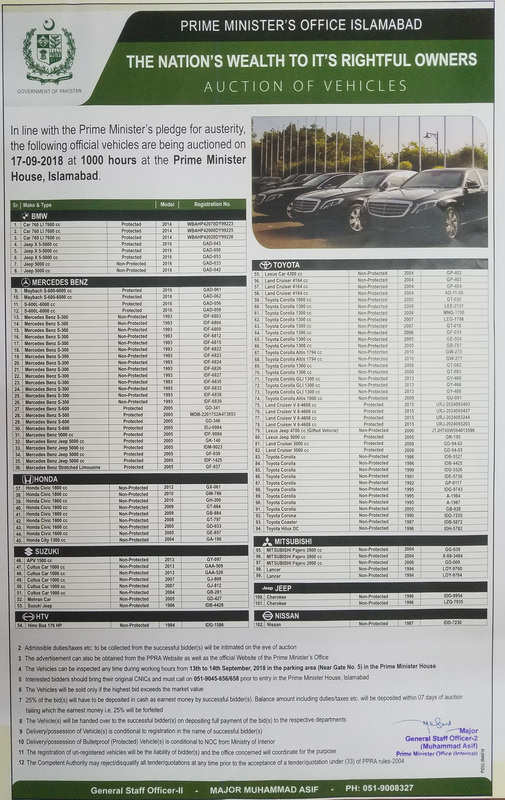 September 07, 2018 In line with the Prime Minister’s pledge for austerity, the following official vehicles are being auctioned on 17-09-2018 at 1000 hours at the Prime Minister House, Islamabad. August 15, 2018 Prime Minister’s Office (Internal) invites sealed tenders from well reputed firms of Rawalpindi/Islamabad for supply of “Toiletries/Miscellaneous Items” during F/Y 2018-19. 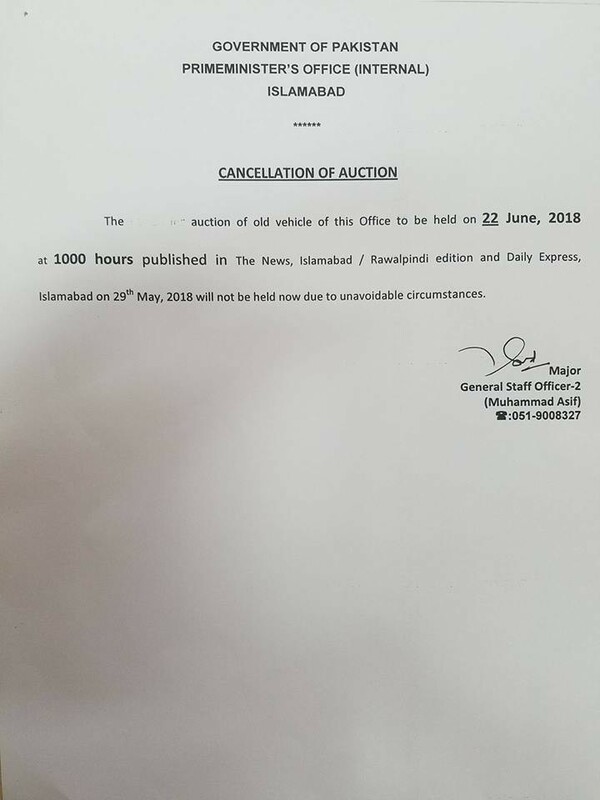 May 23, 2018 Sealed bids/quotations are invited for supply of "Tyres / Tubes / Flaps" of different types / sizes. May 14, 2018 Sealed Tenders/Quotations are invited for supply of stationery and miscellaneous items..
May 10, 2018 Sealed Tenders/Quotations are invited for supply of “40,000 sq. ft. Korean Grass”. May 04, 2018 PM's Office (Internal) invites sealed tenders for supply of "Medical Equipments"..